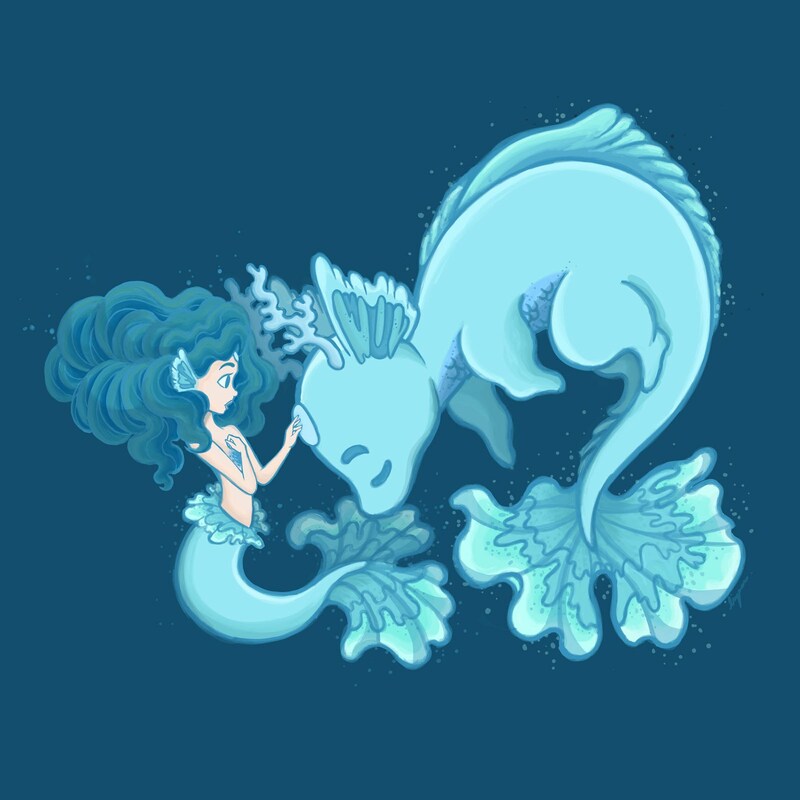 Inspired by March's birth stone, Aqua, a young mermaid stumbled upon a young sea dragon with the same gem on her forehead, which she named Marine. This is my first CDC entry and I am so happy with so many people liking and supporting this work. It motivates me to work even harder to produce a great character every month. So speaking of march, IT'S MY BIRTHDAY THIS MONTH. so happy birthday to me!